Rustic Tuscan flavor abounds in this complex herbal delight. There is nothing but classic herbs to revel in; basil, rosemary, oregano, marjoram, sage and earthy bits of bay leaf. This sings Italia, and harkens roasts, stews, pasta and more. 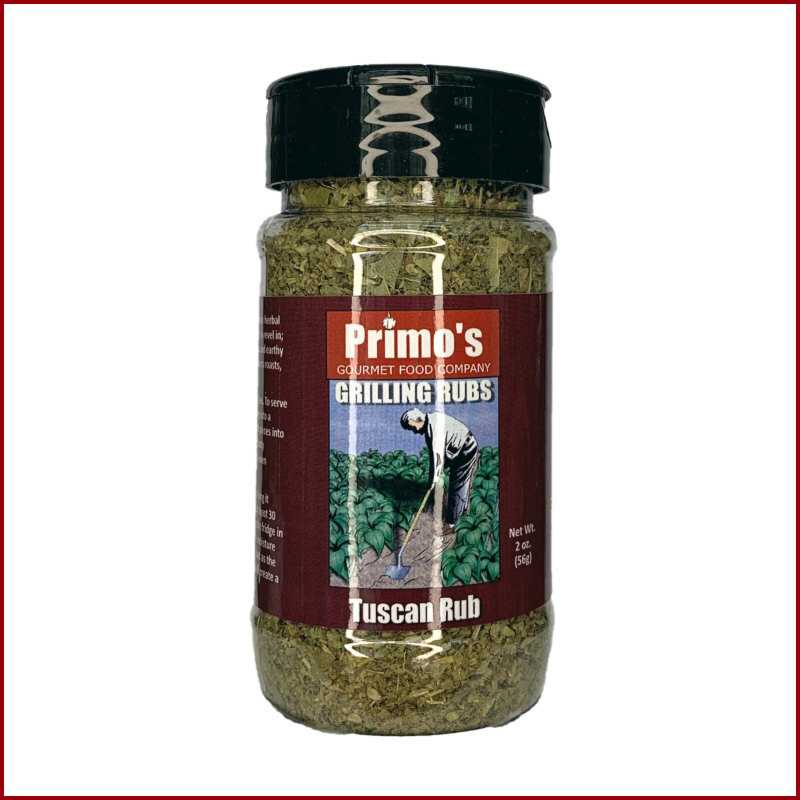 Our distinctive Tuscan Rub has multiple uses. To serve as an appetizer, you can stir the seasoning into a high-quality olive oil and dip crusty bread pieces into the mix. 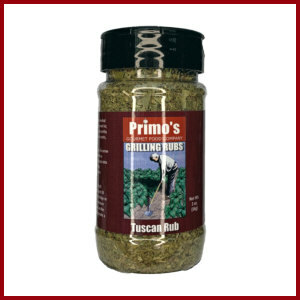 The seasoning also makes for a tasty addition to soups, salads, casseroles, and even homemade bread or pizza dough.